The Minister for Health Choudhry Lal Singh in the state of Jammu & Kashmir has indicated that the Sher-i-Kashmir Institute of Medical Sciences (SKIMS) medical college, currently the third recognised government college in the state, will soon be made autonomous. This can be viewed as an initiative to boost the medical education in J&K by improving the management of the esteemed institution, and providing more facilities. 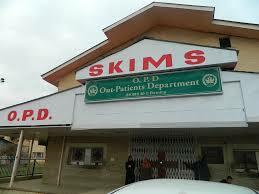 The SKIMS medical is now an under-graduate medical college of the SKIMS Soura (deemed university) Soura and as quoted by Choudhry this development will divisionilise the SKIMS Bemina for there are weaknesses in the deemed university of SKIMS Soura.